Grading the NFL mock drafts: Just how wrong did all those experts get it? Every year, media outlets spend untold hours cranking out mock after mock in advance of the NFL Draft. Some are predictions of what will happen, others are opinions on what should happen. Some are reported, most are not. Some come from legitimate experts, others come from bloggers hunting page views. None are typically all that accurate. All are devoured lustily by the prediction-starved masses. And although we know we’re not going to convince you to stop clicking mock drafts (you do you! ), we thought it might be interesting to examine just how accurate (or inaccurate) they can be, so that next year you have some sense of what you’re getting. Comment: Very few mocks saw Mayfield as the likely No. 1 overall pick. Most of the ones that did were published Thursday, as reports came out that he was the likely choice. Comment: Good work, mockers. You hit on this one. 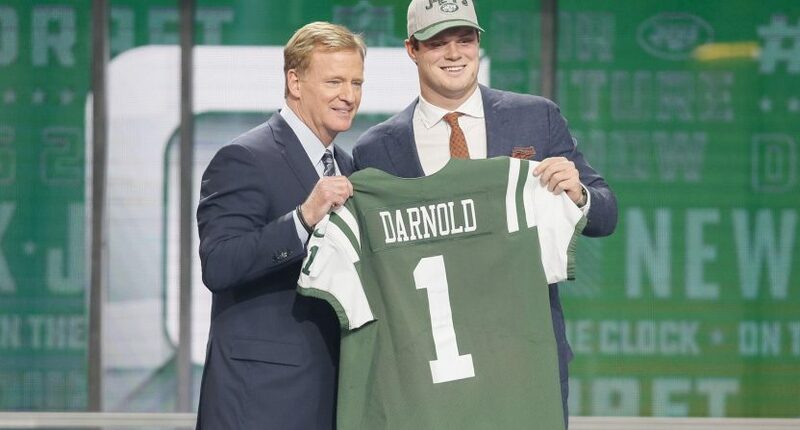 Comment: Most mocks had Darnold off the board by this point and predicted that the Jets would wind up with Mayfield or Josh Rosen at No. 3. Comment: That’s right, not a single one of the 122 mock drafts published this week got this pick right. Not one. Comment: The mocks were all over the map on this pick, but Mayfield, Josh Allen and Quenton Nelson were projected to go No. 5 considerably more often than Chubb was. We could keep going, but ultimately you get the point. For all the attention given to mock drafts, it turns out the people compiling them don’t know much more than anyone else. Even at the top of the draft, where you’d think things might be fairly simple, it’s damn hard to predict picks correctly — especially in a year like this one when the top players seem clustered together. Of those 122 mock drafts we looked at, none got the entire top five correct. Only one (Walter Football itself) got four of the top five correct, and that one hit on only three correct picks the rest of the round. Only four others got even three of the top five correct. That means 117 out of 122 mock drafts published within days of the draft failed to correctly guess more than 40 percent of the top five. Mel Kiper got two of the top five. Mike Mayock got one. We don’t mean to pick on the people who make mock drafts. The NFL Draft is obviously not easy to predict, and NFL experts, analysts and bloggers do the best they can. (Our own mock draft certainly wasn’t perfect either.) But next spring, before you click excitedly on every mock draft you can find, maybe consider just how little anyone really knows.